Anya Groner’s poems, stories, and essays appear in journals including the Atlantic, Guernica, the Oxford American, and Ninth Letter, and she’s received grants from the Virginia Center for Creative Arts, the Sewanee Writers Conference, and the Louisiana Board of Regents. Currently, she teaches writing at the New Orleans Center for Creative Arts and the New Orleans Writers Workshop. 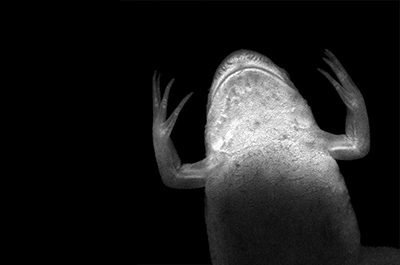 A writer chronicles the life and times of the African clawed frog, from the one her father purchased for her childhood terrarium, to the species’ part in the development of modern pregnancy tests, to her twin sister’s research on the frog’s role in the global chitryd pandemic.